With enriched industrial experience and knowledge, we are providing an excellent quality Transit Temperature Data Logger. Designed with high precision, the offered data logger is manufactured using premium quality components and ultra-modern technology. Used to encompass a full spectrum of uses from food processing and warehousing to blood storage, our data logger undergoes different tests under the guidance of quality examiners, so as to ensure its quality. We are passionately engaged in providing an exclusive array of Humidity Data Logger. Used to monitor and record temperature and humidity, offered data logger is designed by our proficient designers from high grade components and the latest technology at par with industry norms. We provide this data logger in different sizes and designs as per the demands of our clients. In addition to this, customers can avail this data logger from us at nominal prices. 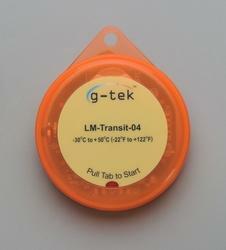 By utilizing our years of experience, we bring forth a qualitative array of Portable Temperature Data Logger. 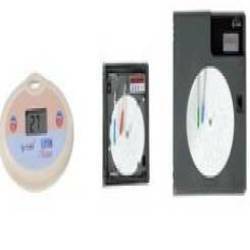 The offered data logger is manufactured by utilizing the finest quality components and modern technology. Used for measurement of temperature, humidity and flood detection, our quality examiners check this data logger against different parameters so as to seek out any flaw in it. 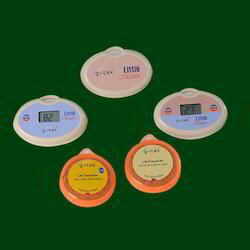 In tune with industry norms, we provide this data logger in different designs and specifications. With sincerity and hard work of our professionals, we have carved a niche for ourselves in this domain by offering Temperature Meter. The offered meter is designed in adherence with industry standards using the best quality components and advanced technology. We offer this meter in diverse customized options and specifications, in accordance with clients’ demands. Enables the heating or cooling measurement solutions for industrial, we offer this meter to our valuable clients at nominal prices. 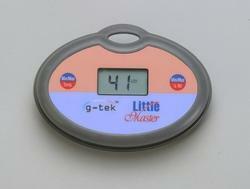 Little Master Series (Reusable) are reusable temperature and humidity data loggers. They are available in a variety of models, and are configured from the PC to record and monitor data independently. TCP/IP protocol has become almost default preference when it comes to networking of the devices. The biggest advantage of TCP/IP is relatively easy availability of network devices and trained work force. With MODBUS over TCP/IP, it has become very easy to connect, control and monitor devices through central software. The ERC-800 series of Ethernet based remote relay and display units is very helpful when you want to add remote alarm units on Ethernet network. Since it is Ethernet based, the device can be plugged in at any place and controlled easily from the control room. 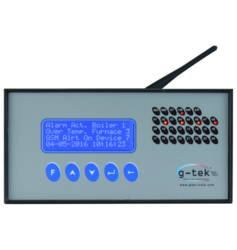 This along with G-Tek’s networked software GtekNet, you can send the information about alarm condition being generated from any device to this unit along with the message on the display. The messages and relays on/off are fully configurable from software. Device operates on MODBUS TCP/IP so you can easily integrate with your existing system also. A buzzer is provided and can be set or reset remotely to attract the attention of the nearby person. It can be turned off for the pre-set time. 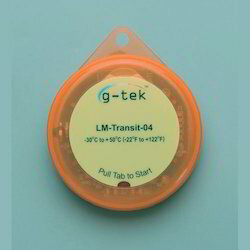 User can also choose the add-on GSM module. In case of pre-defined event (user configurable) this module will send voice or message to the user settable mobile numbers. Logs of successful sending or failure can also be downloaded for future reference. On/off Status of each relay on individual LED. LCD (20×4 (20 characters by 4 line)) as display with TN reflective Blue over white. TCP/IP based communication to connect with application. User settable SMS message with maximum length of 135 characters. Universal 85-264 V AC; 47-63Hz Power supply. 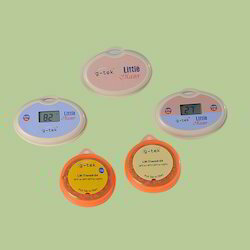 Little Master Transit Series (One-Time) Data Logger are one-time use portable temperature data loggers. 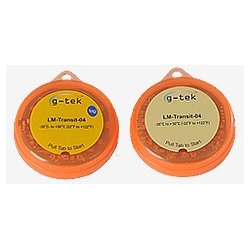 Ideal for recording temperature during shipping and transport, LM Transit series are easy to use, accurate and affordable solutions for your requirements. Waterproof (IP65) ensures that you can place them in the most demanding of environments. EN 12830 compliance assures you the quality and the reliability. 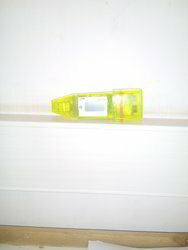 The bright fluorescent like color makes it easy to identify at destination for easy retrieval. 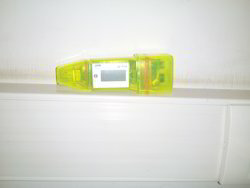 A Hygro Thermographs is nothing but a recorder that records temperature and humidity. This recording can be on a daily, weekly or a monthly basis based on the user requirement. 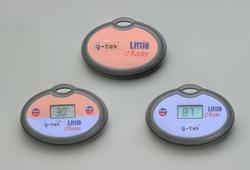 G-Tek offers 4 types of Hygro Thermographs. You can select either of them. The LM series of hygro thermo graph comes with built-in sensors where as for all other you need to separately order the sensors.